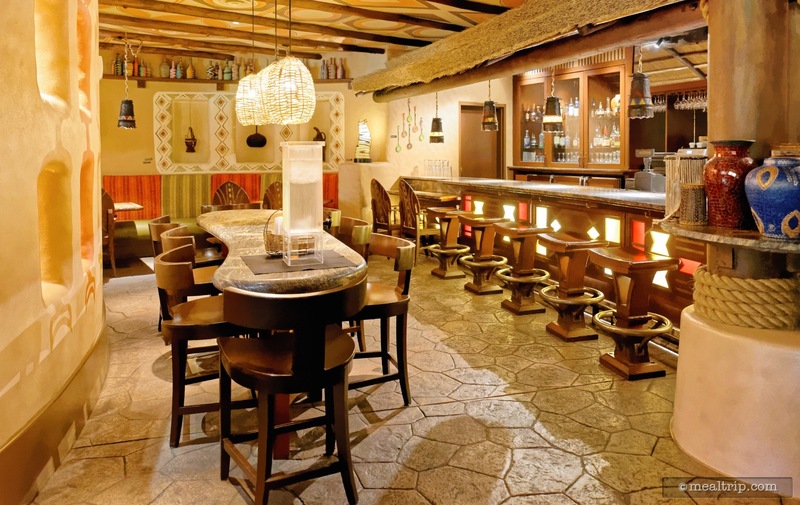 The Sanaa Lounge is located (not surprisingly) inside Sanaa (available) on the Kidani Village side of the Animal Kingdom Lodge. The space itself is not quite as cozy as other resort lounges, but this one is in a restaurant, so it's really interned to be more of a place where you can wait to be seated, and not necessarily to spend time winding down in. Unique beverage offerings include a Discovery Wine Flight and specialty drinks like the Kande Coconut Cooler and African Starr Mojito. 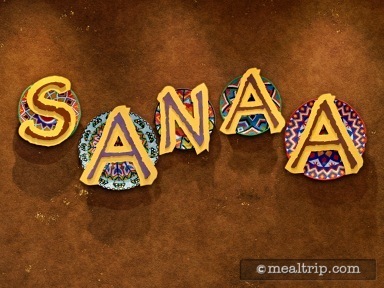 There is also a limited food items menu available which includes the Indian-Style Bread Service that is so popular in the main Sanna dining area! There is also a Cheese Board with garnishes, Lamb Sliders, and a cold Salad Sampler which combines Chickpeas with Cucumber and Tomato, Watermelon, Cucumber, and Fennel Bhel Puri. The location does not require reservations, but may be full (it's not very large) of guests waiting to get in to Sanna at any given time. The Sanaa Lounge is open from 11:30am until 12:00am.